All over the country, we are seeing today's youth voice their concerns to their government representatives and participate in political events, rallies, and elections. Organizations such as Students For Liberty and Young Americans for Liberty, which have over 420 college chapters, give an indication on where the youth of the nation is trending. The influence that young activists have on their representatives is tremendous, as young voters of today are the future of the country. They are a targeted demographic of both parties. Soon, there will be a tipping point, in which representatives will either choose to adopt the ideas of today's liberty minded youth, or become further out of touch and therefor unelected. The relentless pro-liberty youth movement is starting to make some inroads through the Republican Party, and we're seeing some positive internal changes. In 2010, Kentucky and Utah elected two U.S. Senators who would quickly become leaders in the GOP and a voice for the grassroots: U.S. Senator Rand Paul (KY-R) and U.S. Senator Mike Lee (UH-R). In the House of Representatives, Justin Amash (MI-3) also won his seat, running as a pro liberty candidate. These were victories not just for them, but for liberty activists all around the nation. With Mike Lee, Rand Paul, and Justin Amash winning their federal elections, it sent a clear message to the Republican Party - liberty is taking over the GOP. The grassroots liberty movement did not stop there, and two years later the message still resonated. In 2012, Texas held a tough primary election, but it resulted in another win for the limited government movement. Now U.S. Senator Ted Cruz (TX-R), has been fighting to put liberty on the platform of the Republican Party. It's one thing to have Senators and Congressman promoting liberty, but it's much more beneficial over the long run to have the platform also move toward policies that ensure liberty is protected, and that the GOP once again becomes the party of limited government. The issues that these elected officials are taking the charge against has not only grabbed the attention of the media, but a more important and growing demograpic. Young voters and activists have joined alongside Senator Rand Paul, especially on issues that effect their civil liberties. On the issue of the NSA spying, the youth have made it known that they are against government having such power. Other issues such as an auditing of the Federal Reserve, a bill introduced by Fmr. 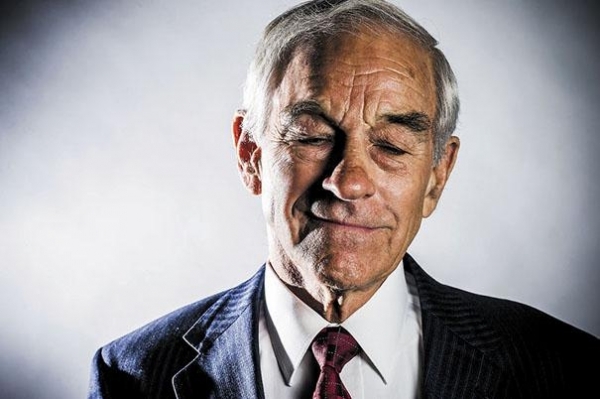 Congressman Ron Paul which received less than 100 members voting in opposition, also have tremendous youth support. There is even support for an audit of the Pentagon, as suggested by U.S. Senator Rand Paul. This is a huge step for those seeking fiscal responsibility in government, and a smart move for the GOP. With a national debt approaching $17 trillion, there should be no agency or bureaucracy above audit. It is now 2013, and the message of liberty is stronger than ever. If youth stay involved in the party and can influence the platform as well, it may not take long to change the status quo. Today's youth are even taking it one step further. Instead of just influencing their representatives, we are seeing more young people running for office. Whether it is local, state, or federal, they are making their voices and their presence known. The ideology of voters, and the political momentum is on the side of those who offer real change and welcome protection for civil liberties and our financial future. As Rand Paul said, "The GOP of old has grown stale and moss-covered." It will be interesting to see how this shift will influence primaries and general elections. The tide has turned in the Republican Party and the revolution is well on its way. Uh... I thought the "tea Party" was supposed to be a bi-partisan "grass roots" organization. So that being the case, how come EVERY single article on here is basically another shill piece for the GOP? And as far as this article, if you think the youth are suddenly enamored with the Republican party then that is some serious wishful thinking. The GOP knows its got a severe demographic issue right now, and one of the demographics that is totally turned off by the GOP happens to be younger Americans. Nice try though. The Tea Party is a manifestation of FreedomWorks and FOX. The people who built the network were Paul supporters in 07.These guys just took credit for what Paul started. The irony is the article itself. What do you think Ron did in two presidential elections...? Nothing? Instead, Paul supporters got involved and stayed involved. Its hilarious to see this all go down once again. Ive got a big shocker for everybody.. besides Obama there hasnt been another candidate that has shifted the political landscape like Ron has. Screw the GOP and the party bosses. If we get treated in 14 and 16 the way Team Romney and the RNC treated us in 12..... expect another Democrat victory. We aren't going to continue to be spit on and expected to line up behind whatever turd the guys at the top want. The grassroots wants real Conservatives. We are the ones winning elections. The GOP better wake up and smell the roses. If they want victory, we want our issues supported with more than lip service. ^The Tea Party is a grassroots movement in opposition to the growth and fiscal irresponsibility of the federal government. Articles on this site are dedicated to advocating solutions to our fiscal problems. The reason many of these articles (certainly not all of them) seem to favor the GOP is because a few members of the GOP (i.e. Ted Cruz, Rand Paul, Mike Lee, ect.) are the only members of Congress actually trying to restore the government to fiscal sanity by adopting some of these ideas. There is bi-partisan support for less government and lower taxes among voters, but the majority of Republicans and all of the Democrats who are running the government aren't offering any viable solutions to our economic woes. And for the record, the more younger people are correctly educated the issues, the more they tend to agree with the TEA party message of liberty.